We don’t usually share news but this is something that we feel everyone should be aware of and spread the word so that these ridiculous laws become abolished wherever they may be hidden. LOUISIANA — A charity group called “Hunters for the Hungry” donated 1,600 pounds of freshly processed deer meat, called venison, to local homeless shelters across the state.But no good deed goes unpunished.The state of Louisiana refuses to allow homeless people to eat venison under any circumstances. 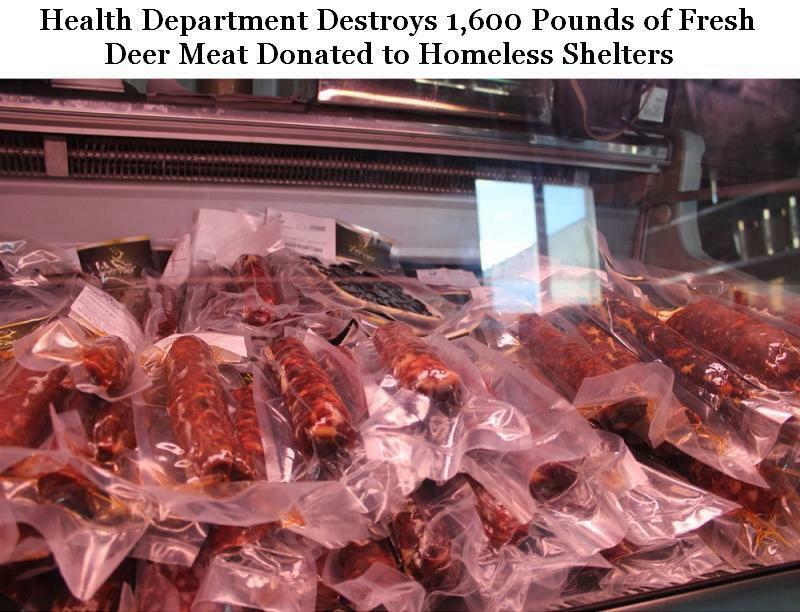 Not only that, but the Health Department officials would not even allow the hunters to take their meat back and gladly use it for something else. Instead, government workers ripped open every package of meat, put them into dumpsters, and poured bleach on all the meat. They claimed that the bleach bath would prevent animals from getting sick from eating the meat.